Opinion: Can Phil Harrison save Atari? Can Phil Harrison save Atari? So Atari has finally pulled back the curtain on its new line-up for early 2009, with a solid number of interesting new titles announced. And while there was nothing particularly surprising in the line-up, as TechRadar reported yesterday, it was certainly nice to see a once great gaming brand look like it was back on the up. Since the announcements, one question has been whispered around the TechRadar office – can Phil Harrison save Atari? Can the ex-Sony man turn around the slow-burning financial disaster that the once-mighty Atari had become in recent years? "I think Phil Harrison can save Atari," says GamesMaster magazine's Editor-in-Chief, Robin Always. "Possibly not with the fairly traditional line-up of console releases they've just announced, but with their commitment to internet-based, in-the-browser gaming and shaking up the development process with their 'experiment earlier and fail more cheaply' approach." "Phil Harrison can certainly talk the talk," opines TechRadar's very own Patrick 'Gaming' Goss, "and frankly the Atari brand deserves better than it has had for the last few years." Goss adds that he thinks "gamers want to love Atari again, and by signing up Mizuguchi, Harrison is taking a large step in the right direction." We look forward to reading his extended musings on the topic on his weekly MSN Gaming Goss column sometime very soon! "Atari's track record recently has been patchy, but their recent announcements show continuing faith in new IPs, which is impressive given how conservative most publishers are right now," thinks PC Gamer's Editor, Ross Atherton. "Alone in the Dark showed that they need more patience and expertise at the closing stages of a project, and I really hope they've learned from the abortive release of that game – its fantastically imaginative mechanics were woefully under-polished. "They will need to raise their game in this regard when it comes to Demigod, which looks a very exciting signing, and could be the start of a great new IP for a publisher who own precious few." PC Zone's newly-appointed Editor, Ali Wood, agrees with us that, "obviously Phil Harrison made a great impact at Sony, responsible for some of the most innovative games of our time." Wood also reiterates our hope that "with his experience and reputation, his appointment at Atari can only be a good thing; he's already recruited a leading development talent in SingStar creator Paulina Bozek, but with this in mind you have to wonder if Atari will be looking to focus on the mass market gaming audience." Wood also adds that, "Atari has never been best known for its PC product, so it will certainly be interesting to see what impact Harrison has on this. Nonetheless, having been through many changes in recent months (and years), Harrison's enviable developer contacts and influence on Atari can only be a good thing. 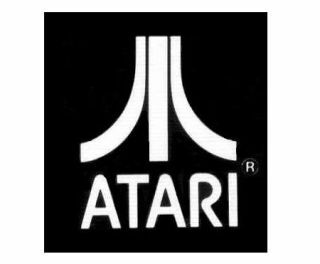 "His appointment has confirmed Atari is going to be one of the publishers to watch."